Mirèio is the restaurant du jour in the metropolis—an elegant brasserie that offers Provençal-inspired cuisine and other French favourites born of traditional French cooking techniques and influences. Its sun-drenched interiors are casual yet refined with floor-to-ceiling windows displaying the breathtaking cityscape. Diners are literally enveloped by an unobstructed view of Makati and beyond. 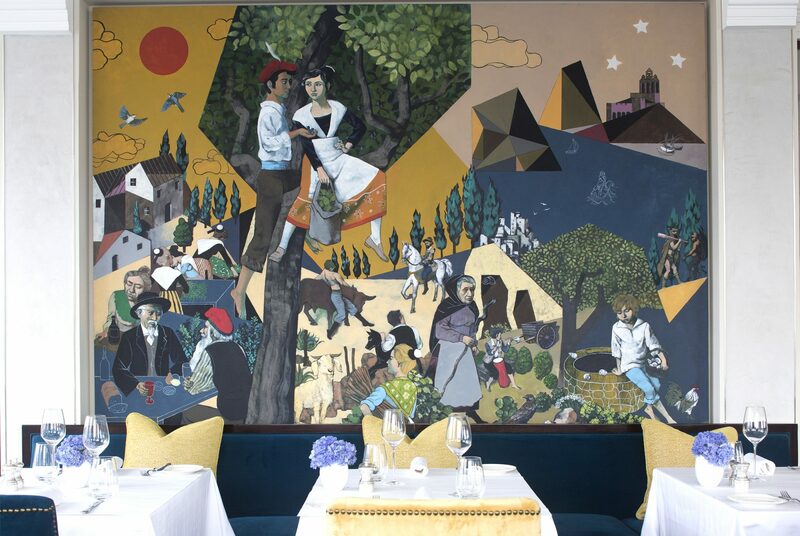 The restaurant, hailed by Philippine Tatler as one of the Top 20 Best Restaurants of 2019, is Raffles Makati’s tender tribute to Mirèio, a celebrated poem by Nobel Laureate Frederic Mistral, a favourite son of Provençe. It beautifully depicts the life and culture of Mistral’s time. This literary connection stays true to the Raffles tradition of honouring great writers. Like its poetic namesake, Mirèio at the Raffles Makati is a showcase of Provençe’s rich culture and culinary traditions.